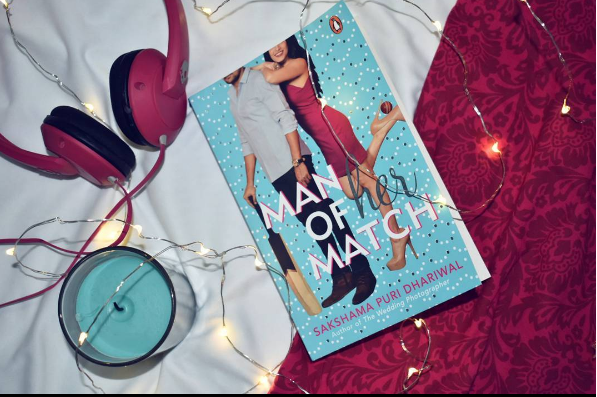 Short and Sweet: Man of her Match is the COMPLETE package filled with romance, sass, great friends and chemistry filled moments that will have you smiling, swooning and waiting for your own Vikramaditya Singh Walia. Let’s be honest – even though I’m Indian, I haven’t read books from many Indian Authors. I have some authors on my Auto-Buy list (Anuja Chauhan, Nikita Deshpande and Sukanya Venkataraghavan) but you’ll rarely catch me a book other from these three authors in my hands. I’d heard about Sakshama’s debut novel, The Wedding Photographer, when it released but for some reason, I never got around to reading it. It sounded swoony and perfect but now, I’m SO GLAD that I got the chance to read her sophomore novel, Man of her Match. I got sucked into this book because of the tropes it was based on. Childhood Sweethearts who broke each other’s hearts, meet twelve years later after one of them has turned into the bad boy of India and is also on the Indian cricket team? Plus, this relationship had all kinds of SASS? SIGN ME UP. The plot followed your typical romance novel. Boy and girl haven’t met in a while, are shocked when fate throws them together, initially only manage to get on each other’s wrong side until realising that they’re perfect for one another (with some variables and added drama) BUT I LOVED IT ALL ANYWAY. This is probably because from the minute they met, I could feel the PALPABLE CHEMISTRY that surrounded Vikram and Nidhi as well as amazing best friends and I LOVED IT. I really liked Sakshama’s writing. 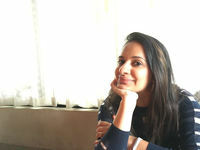 She managed to capture the essence of two headstrong twenty-something Indians SO WELL and also throw in just the right amount of sass and love in it. I’ll definitely be adding The Wedding Photographer to my TBR and her to my Auto Buy Author list! One word for our main man: SWOON. (And then swoon some more.) I adored his character from the very beginning – he was just perfect and reckless and your perfect good-bad boy, if you know what I mean. He knew what he wanted, and he wasn’t afraid to go after it. AND he was also such a loyal person. I really liked Nidhi as well – she was headstrong and played sports and well, Vikram and Nidhi really did make a perfect pair. If you’re looking for Romance, Sass and Swoony Men (and really, who isn’t? ), Man Of Her Match should be your next read!